Here is some garlic even non-vampires may baulk at: Black garlic that cost $60 or more for a pack of six bulbs. However, these days, in chic kitchens, the black garlic is the new, well, black. A type of fermented garlic, it derives its name from the colour of the cloves after an ageing process. 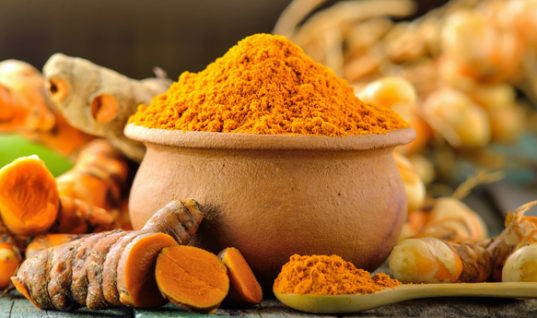 Appearing in the market here about two years ago, the herb has gained devotees and advocates. Oil painter Choo Keng Kwang, 81, has been eating around half a bulb of black garlic a day for the past few months. Mr Choo, who suffers from psoriasis – a skin disease which results in itchy red patches or flaky scales, decided to give the herb a try after seeing a newspaper advertisement for it. 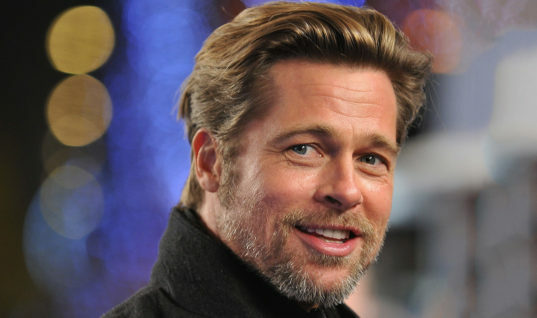 He spends about $6 a day on this black garlic diet. The blackened cloves are available at selected NTUC FairPrice and FairPrice Xtra, Giant hypermarkets and Shop N Save supermarkets. The black garlic at these stores are imported from China. Black garlic is produced by fermenting whole bulbs of fresh garlic in temperatures of 65 to 80 deg C in a humidity-controlled room for nearly a month. After this, the garlic cloves will have turned black. But the product at this stage would still not be ready for consumption “as the taste would be too bland”, says Ms Low Gim Noi, 46, managing director of Defu Foodstuff, which sells black garlic. To achieve a sweet, prune-like taste, the fermented garlic is left to oxidise in a clean room for 45 days. Black garlic can be eaten raw or cooked in the same manner as fresh garlic, she adds. She recommends cooking black garlic in dishes such as chicken baked rice and bak kut teh. 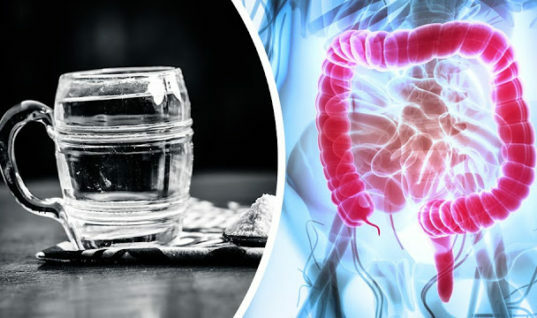 She points to experiments conducted by Japanese researchers in 2007 which suggest that black garlic is more effective in reducing the size of tumours in laboratory mice. The study was published in a Global Science Book journal about medicinal plant science. 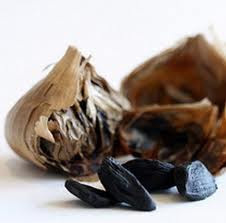 However, as the majority of research on black garlic’s health benefits has been conducted on laboratory animals, Ms Tan stresses that “there is still a lack of scientific evidence to support the use of black garlic for health purposes on humans”. Fermented garlic has greater health benefits than the common variety, says nutritionist Velumani Deepapriya of the Singapore Nutrition and Dietetics Association. 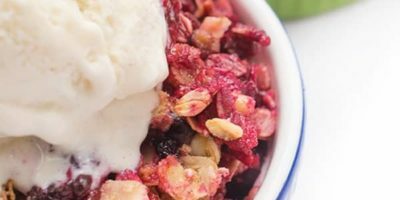 “Especially in improving blood circulation and increasing antioxidant levels in the body,” she adds. This is due to the production of water-soluble amino acid, S-Allylcysteine, which contains antioxidant properties, during fermentation. Antioxidants are substances that may protect cells from the damage caused by unstable molecules known as free radicals. 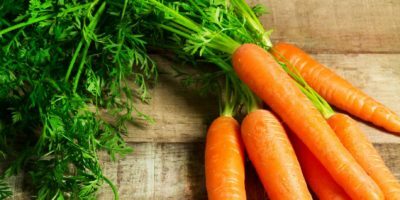 Free radicals can lead to heart disease, blocked arteries and cancer. Business consultant and part-time marathon runner Edward Goh, 50, started eating black garlic last June to lower his cholesterol level. His cholesterol was considered high at 250mg/dL. According to the Singapore Heart Foundation’s guidelines, an average adult should maintain his total cholesterol level at less than 200mg/dL. Health reasons aside, Mr Goh, who spends $68 on a pack of six which lasts him around six weeks, is also a fan of the tangy sweet taste of black garlic. Do you know the health benefits of black garlic? 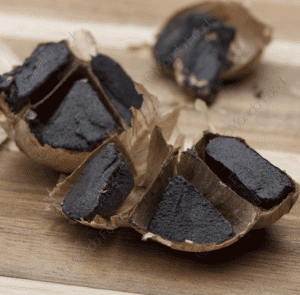 Black garlic is rising in popularity which could be good news for both our health and our diet. Black garlic may not be as well known as its white counterpart but with its unique flavour, vibrant colour, and velvety soft texture, it’s making its mark in our kitchens. What’s more, it could have double the antioxidant level of white garlic. Black garlic is made by fermenting whole bulbs of garlic at a high temperature, which results in the distinctive black cloves. 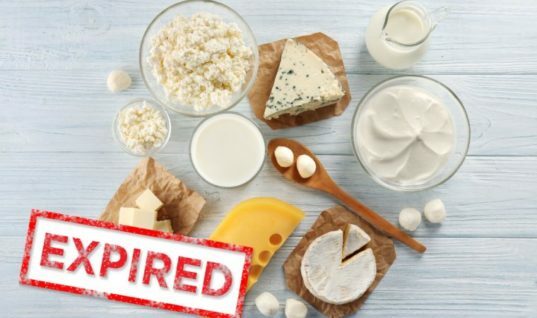 This is also known as an ageing process as no yeast or fungus is involved. Garlic is packed with natural sugars and amino acids. Once the garlic is in its month-long fermentation mode (under strictly controlled heat and humidity), it produces melanoidin. This dark-coloured substance (often used in brewing to add flavour to ales and beers) colours the garlic bulbs black. Developed in Korea, black garlic is simply garlic that has been aged and fermented—no additives. 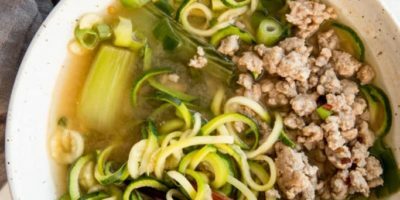 That means no food coloring, no soy sauce (yes, it’s gluten-free! ), and no preservatives—just pure garlic. The black color occurs naturally as the sugars are drawn out of the garlic cloves during the fermentation process. Although garlic is the sole ingredient of black garlic, don’t be fooled. Black garlic doesn’t taste like your regular raw garlic. In fact, it probably doesn’t taste like anything you’ve ever had before. Black garlic is full of umami and complex flavors that take your mouth on a gustatory adventure. The initial bite is mild, followed by a burst of caramelized sweetness, and a rich savory finish. Black garlic isn’t just a culinary marvel; it is also beneficial to your health! It’s no mystery that garlic is good for you, with its abundance of Vitamin C and other antioxidants. The fermentation process doubles the amount of antioxidants found in raw garlic! 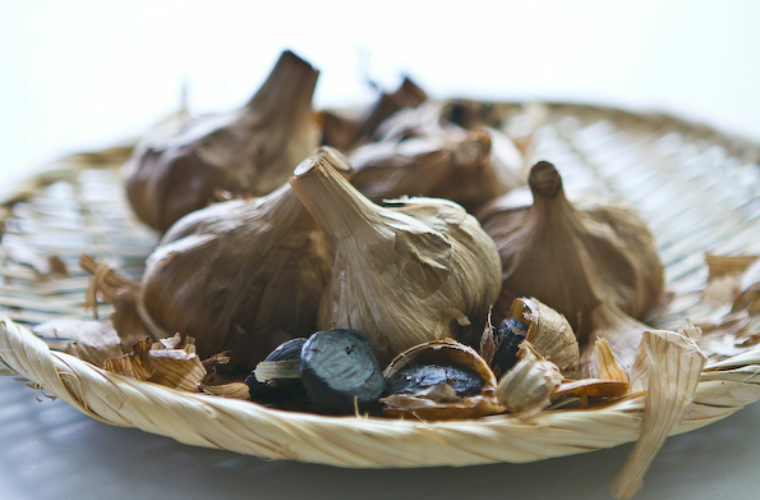 If you don’t care for the pungent odor and spicy bite of raw garlic or you’re a garlic lover that wants to try it in a new way, black garlic is for you. Fresh garlic is packed with high concentrations of sulphur-containing compounds – the source of its health benefits. One compound in particular, s-allycysteine, is a derivative of the amino acid cysteine, which could help lower cholesterol levels. 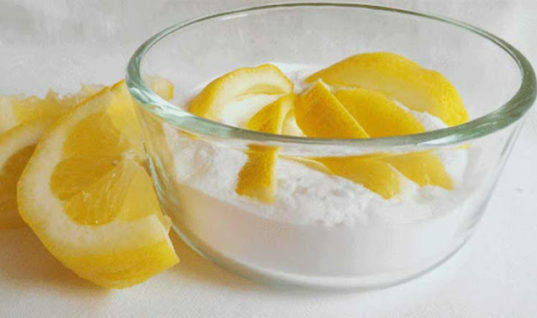 The natural compound s-allylcysteine (SAC) assists in absorption of (the fat soluble) allicin. This is found in greater concentrations in black garlic than white. A study conducted at The Pennsylvania State University revealed SAC, found in black garlic, inhibited cholesterol synthesis. 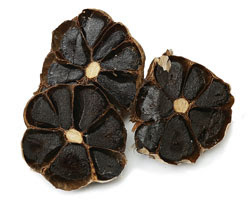 “Black garlic can also have a positive impact on blood pressure and circulation in the body,” Robert says. Some people describe black garlic as sweet meets savoury. It has a tender, almost jelly-like texture, and is frequently used in Asian cuisine. “Black garlic leaves no trace of smell, (so doesn’t create bad breath); it can be eaten raw or as part of a snack, and it can be cooked as you’d normally do with white garlic,” says Robert. It is also available in supplement form. High Blood Pressure: Garlic (Allium sativum) is one of the oldest medicinal plants of their own world. There is evidence that the use of adequate amounts of this “so-called stinking rose” is effective in reducing blood pressure and possibly cholesterol levels. Headache Prevention: Similar to aspirin, garlic has a dilution of blood quality. This quality prevents platelets from the strips together. Cold and flu: Modern studies have shown that garlic is like a powerful antibiotic. Many people take garlic during cold and flu symptoms to help their bodies stay healthy. The key here is to take the garlic before a cold, because they help to combat the cold. Cardiovascular benefits: Scientific studies have shown that one of the health benefits of the garlic is to help preventing heart disease. Garlic reduces free radicals that cause oxidation of cholesterol and damage cell membrane, the true cause of atherosclerosis and heart disease. Studies suggest that garlic prevents the formation of plaque in arteries, and may even reduce it. 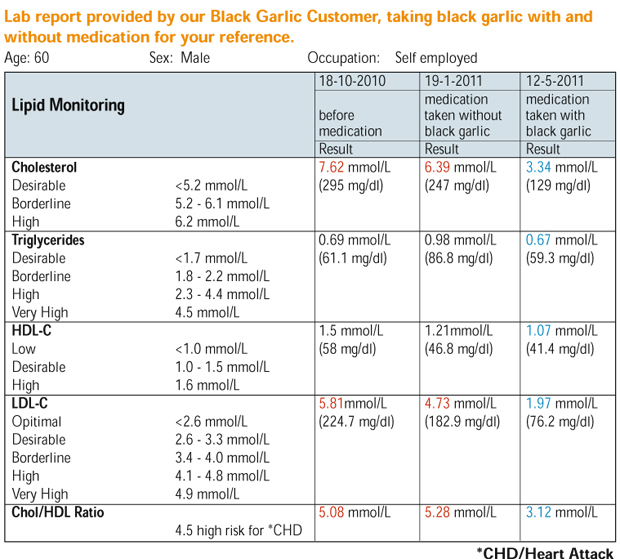 In Germany, garlic supplements are approved as drugs for the treatment of atherosclerosis. Garlic also helps in the metabolism of fat. 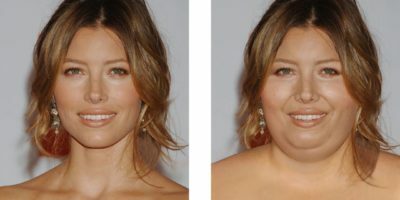 Increased breakdown of lipids and increases the removal of fat from the body. Previous ArticleWhat Do Apple’s Latest Privacy Issues Show? We Need ‘now recording’ LightsNext ArticleFunny Lion Face Pancake For Kids (Recipe)!